He played for the Miami Dolphins for two years but unfortunately I don’t remember Hand. RIPNew . Former Miami Dolphins defensive tackle Norman Hand has died after collapsing at his home in South Carolina. Colleton County Coroner Richard Harvey said the 37-year-old Hand collapsed at his home in Walterboro about 11 a.m. Friday and died about 90 minutes later at a local hospital. The cause of death has not been determined. The coroner said an autopsy is planned Saturday. He said Hand’s family was with him when he died. Hand’s 10-year NFL career included playing stints with the Dolphins, Saints, Chargers, Seahawks and Giants. 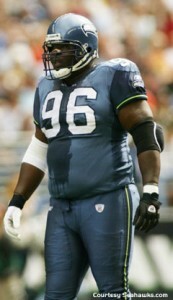 Hand, who had 22 1/2 career sacks, was drafted in the fifth round by the Dolphins in 1995 after playing at Mississippi.